Tipped for great things long before the start of the 2015 season – his first in the World Tour – Stefan Küng wasted no time in showing the huge talent he possesses, needing just a couple of race days to take the maiden victory of his career after a huge solo attack in the Volta Limburg Classic. That was the first of the three wins he got last season, the cherry on the top of the cake being the team time trial World Championships in Richmond, where BMC put on a convincing and impressive performance which netted them their first gold medal in the discipline. Still, it wasn’t just all roses for the 22-year old Swiss rider, who had to overcome an illness in the Spring, followed by a serious injury which sidelined him for three months, until late August. But, despite these setbacks, Stefan Küng remained upbeat and kept his composure, while making some significant improvement on both road and track, two disciplines he will combine next season, when he hopes to enjoy other solid rides and memorable victories that will serve as a confirmation of his unlimited potential. – Stefan, what expectations did you have going into the 2015 season? I wanted to learn a lot, to find my place in pro cycling and to take a chance if I had one, in order to win a race. Another goal was to do well in time trials. In the end it was an up-and-down season, I had quite a few highlights, but there were also some unfortunate moments, as the crash in the Giro d’Italia, where I broke a vertebra, and a time when I was sick for a long period. – Exactly two months after making your pro debut, you won the Volta Limburg Classic. How was that day? It was pretty amazing. Before the Track World Championships I did only the Dubai Tour, and then, after the track, I got sick and I was sidelined for a long time. Afterwards, I came back, but I didn’t know where I was. So I raced the Three Days of De Panne, then the team asked me if I want to do another race, I said yes and went to do a recon of the parcours. On the race day it was raining, we had some tough conditions, but I enjoyed one of my best days ever on a bike, I could do whatever I wanted and when I had the opportunity, I decided to attack. With 5 kilometers to go I still had 45 seconds in hand and that’s when I realized I was going to win the race. It was crazy to win in that manner, in just my ninth day of racing on the road. Absolutely unbelievable! – A couple of weeks later, in the Tour de Romandie, came your maiden World Tour victory. I remember waking up that day and having the felling that’s going to happen. In my head it was only how I’m going to win that stage, not if. I checked the parcours, noticed that in the last 50 kilometers there was a strong tailwind, so I decided to go in the break. I attacked from it maybe a little bit early, with about 25 kilometers to go, but I was very confident I can do it and never looked back. It was amazing to win at home, in Switzerland. And, just as Volta Limburg Classic, also that win came in rainy conditions. – Last year, in our previous interview, you told me that your dream is to win Paris-Roubaix one day. In 2015 you got to race it for the first time. How was that experience? I feel in love with this race, it’s really special, even though it’s hard to tell what makes it so special. It was a big thing for me to ride it, because I was sick and we didn’t really know if I was fit for it, but then I got selected for it and I really learnt a lot. Coming in I thought that maybe I can be in the front until the end or maybe play an important role, but then I saw it’s really something else. You need to know the race, to have experience and I learnt that Roubaix just gives you what you get. I definitely want to come back there and win the race even more now than I did before doing it. I’m looking forward to that. – In addition to this, you also got to make your Grand Tour debut. How did you find the Giro d’Italia? The Giro is truly amazing. The people in Italy love this race and are all behind it. First week of the Giro was really hard, also the other riders, with much more experience, said it was one of the hardest first week of a Grand Tour they ever did. What I took out of the race is that for me things become easy day by day. The longer as it goes, the better I am. Things were really good, I was looking forward to the time trial and then I crashed, and although at first I didn’t think it was something too serious, the exams showed that I have a broken vertebra and I was sidelined for three months. Still, despite this, I want to come back to the Giro d’Italia, because it’s a very nice race. 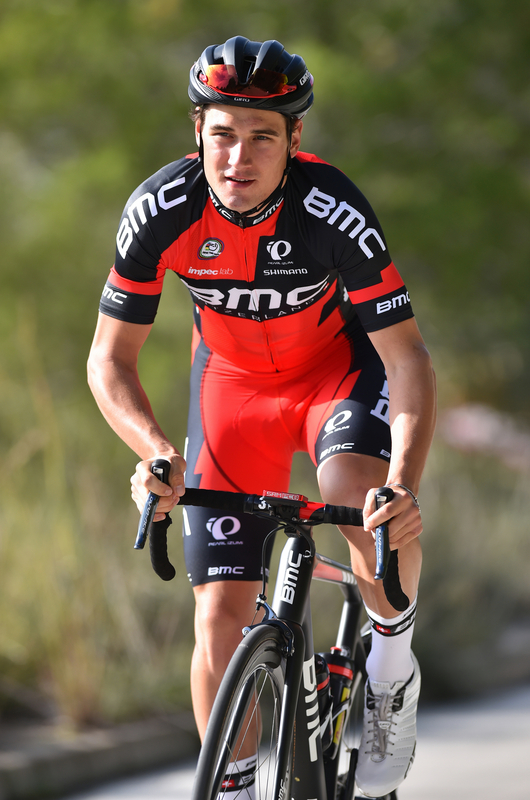 – Then, in September, you enjoyed a great moment, as you were part of the BMC team that won the world time trial title. It was a very important day for the team and it came as proof of how strong we are. To make the selection out of a longlist that included 11 riders was something big, and I was really motivated. As I have a track background in the team pursuit it really suits me, and even though I didn’t have my best day, we still got the gold medal. To be in my first pro year on the top step of the World Championships was something really incredible. – Speaking of the track, what did it mean for you to win World and European pursuit titles, especially as you were the first rider to do so in the same season? To have these performance was something very special. At the World Championships I was in good shape, but I can’t say that I was at 100%. Still, I went into the final against Jack Bobridge and I really wanted to win, I didn’t think for a moment of the silver medal. Then, the European Championships took place in Switzerland, on a velodrome mainly sponsored by Andy Rihs, where we train very often. The arena was packed, the race was broadcast on Swiss television and I knew I had to win, because everybody, myself included, was expecting this. My goal was to get under the 4:15 mark, which is kind of special in the pursuit and I netted the seventh fastest time in history. To get the gold medal in front of the home crowd was one of the best moments of my life. – This past season you showed your versatility in stage races and Classics alike. Do you feel that you can focus on both? My future lies in the Classics. I’m young now, I have to choose one thing and so I’m going for the Classics. We’ll see if something changes in the future, but right now I want get good results in the one-day races. – What’s your calendar for 2016? This season is a very important for me, as I will also do the Olympics on the track. We have to find the perfect balance between track and road, so I don’t get too much fatigue. On the track I will race the World Championships and the Olympic Games, while on the road I will probably have the same calendar as in 2015, with the Classics and maybe the Giro d’Italia. – And what do you hope to achieve? Last year I won two races, so I think I have to win at least two races again. For sure, I want some victories and to improve more, that’s always my goal. I want to do good at the Olympic Games, and if the team will be in top shape there, I’m sure we can do something special. 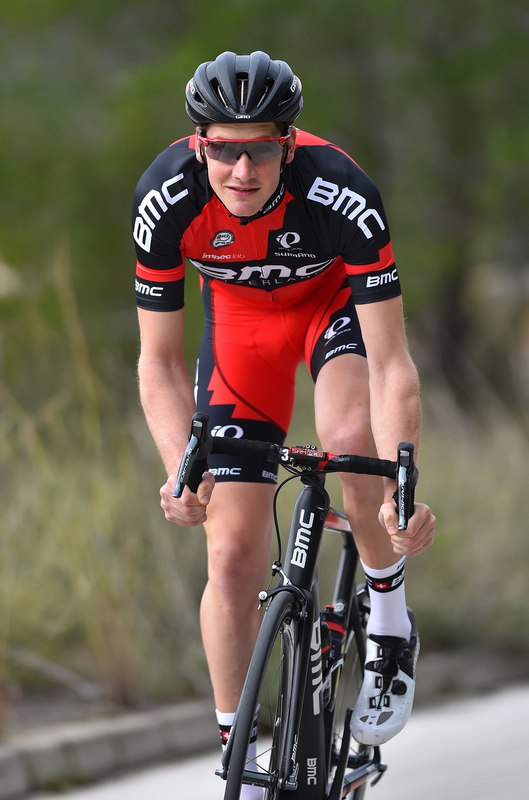 * This interview was conducted during BMC’s training camp in Spain, a couple of weeks ago. In the meantime, Stefan Küng was diagnosed with the Epstein-Barr virus and had to stop his preparations for 2016. Although the illness is not worrisome and he already showed some signs of improvements, the infection requires a minimum of few weeks’ rest, so it remains to be seen when Stefan will resume his training and return to racing. Last season was a great one for Silvan Dillier, the 25-year-old rider of BMC Racing Team: a pro since 2014, the young Swiss started and finished his first Grand Tour – the Giro d’Italia – where he even went on to the attack on a couple of occasions, and in June took his first pro victory, in the time trial race at the National Championships. From that moment on, Silvan’s season got better and better and he confirmed the potential many had noticed since he rode in the U23 ranks and won the Flèche Ardennaise or the Tour de Normandie in commanding fashion. Just two months after that success at the Nationals, Silvan Dillier was one of the main protagonists in the last stage of the Arctic Race of Norway, going to the attack in Narvik and taking a superb win on a slight uphill finish in what proved to be a demanding race against some classy opposition. The results and form displayed granted him a place in BMC’s six-men squad for the team time trial race at the World Championships in Richmond, where the Swiss cyclist captured the gold medal, thus concluding the season on a high note. Now, following a 2015 season which has panned out exactly as Silvan Dillier had hoped, he is ready for a even more demanding year, giving that next year will see him focus on Classics and stage races alike, but also on the track, with both the World Championships and the Rio de Janeiro Olympic Games on his schedule. – Silvan, how was last season? I’m really happy with 2015. I was the whole season on a high level, I was really strong from the beginning, rode a Grand Tour and an excellent second half of the year, and that’s satisfying. It was very important that I could complete a three-week race, as this experience was quintessential in improving my “engine”. The Giro d’Italia was a big challenge and I was very curious how I can manage and finish it. I was really surprised how good I came out of it, and this eventually weight a lot for the second half of the season. – Which of the three wins you took in 2015 was the most special? The World Champion title in the team time trial was pretty big, but personally the victory I got in the last stage of the Arctic Race of Norway was very important, because I proved that I can win a race by myself (ed. – besides the stage victory, Silvan finished second in the general classification and notched the best young rider jersey). – Do you feel that now have a much clearer idea on which races suit you? During my first two years with BMC, I did a couple of Classics, hilly and cobbled ones as well, and from all these I really love Milan-Sanremo and Amstel Gold Race. For this reason, in the future I’ll try to win those two events. – Besides these, you had some impressive results on the track, taking silver in the team pursuit at the European Championships, on home turf. Racing in Switzerland in front of the home crowd was unbelievable, and it will probably go down as one of the best moments of my career. The team was superb and really strong on that day, and to get the silver medal was amazing. We celebrated it together with the public as we’d have won the European title. – This bodes well ahead of Rio. Can the team get a medal there, as well? The main challenge will be to have four riders in top shape at that moment, and if we will manage that, I think we are going to be competitive and have a good shot at a medal. – Do you think you can mix track and road next year, riding at a high level in both? Yes, for sure. The only tricky part will be to have a good planning, so it will be important to work really close together: the coach from the track team, the coach from the road team and the BMC management. I already have the program for the first months of 2016 layed out: I will start my season a little bit later than I did in 2016, in February, at the Dubai Tour, then head back to the track for the World Championships in London, and afterwards I will target the Ardennes Classics. – And what goals do you have on the road next season? First of all, the Ardennes Classics, as I want to get a nice result there. Then, hopefully, I’ll do the Giro d’Italia again, followed by the Tour de Suisse. I’d like to win a stage in one of these races, or even in both. It would be really great. Four riders will turn pro with FDJ in 2016, and one of these will be Odd Christian Eiking, who I’m sure many know since two seasons ago, when he signed with Joker, one of Norway’s best teams when it comes to finding and developing young riders. Just 21-years-old, Odd began cycling when he was 10, just for fun, but with time began thinking he can forge a career in this sport, so decided to focus 100% on it. After a strong ride in the 2013 Tour of Berlin – which he finished 10th – Odd was picked up by Joker, where he found the perfect environment to thrive and land some important results which caught the attention of many pro teams: in his CV you can find a string of top ten placings in the Course de la Paix, Arctic Race of Norway and Giro della Valle d’Aosta (where he also took an impressive stage win in Pont-Saint-Martin), as well as the U23 national title and a runner-up position at the Elite Norwegian Championships. Maybe even more important than these results of Odd were the attitude and maturity displayed on each occasion, these two recommending him – alongside his talent – for a big future in the World Tour, where he will make his debut in just a couple of weeks, at the Challenge Mallorca. Until then, he made some time to sit down and give an interview for Cafe Roubaix. – Odd, are you satisfied with your season? I’m pretty happy with a lot of races, I had some good performances, and even though there were some reasons to be disappointed, I’m satisfied with the overall picture. The Norwegian Championships went well for me with the win in the U23 race and the runner-up position in the Elite race. I felt strong in that period, and I took advantage of my form not only on home turf, but also in Giro della Valle d’Aosta, where I got a stage victory. Another important result was my sixth place in the general classification of the Arctic Race of Norway, because I proved that I can compete against some of the best cyclists in the world. – I know that the Tour de l’Avenir was one of your top goals, but things somehow didn’t click there. What happened? Yes, at first I had this race pinpointed as an important goal, but by that point I’ve already had a long season, preceded by a pretty hard and intense training session in the winter, so my body and my head just weren’t at the top for that race. I’m a little bit disappointed, because it would have been nice to get a result there. – How do you look back on the years spent with Joker? I learnt a lot in the past two seasons in the team. I got to do many very good races with them, and also got to score some strong results. I’m very happy with my two years in Joker, a team which helped me improve in many areas, from climbing to sprinting. – And what it is that you still want to improve? In 2016 I will watch and learn and will adapt to the World Tour rigors and races, which I’m aware that are completely different than anything I have encountered in my career so far. After I will do a couple of events, I’ll have a clearer picture of what I have to improve, but in general I think I must become stronger in order to cope with this level. – You recently completed your first training camp with FDJ. How was it? It was nice to meet the team and train together for the first time before next year. We did some good training sessions and prepared the next season in practical ways too. It means one important step forward, and I felt that it will be good for me, to compete against the best in the world will help me develop as a rider. – Do you know your schedule for next year? I will start my season in the last days of January, in Spain, at the Challenge Mallorca, then move to France and follow up with La Méditerranéen, Tour du Haut Var and Tour de Provence. I’m also on a 12-rider list for Paris-Nice, but I’ll find out if I go there after I will complete the first races. Afterwards, I’m scheduled for Criterium International, Vuelta al Pais Vasco, Amstel Gold Race, Flèche Wallonne and Liège–Bastogne–Liège. – And what goals and expectations do you have? I hope to enjoy a smooth start, to take every race at a time, and then to come into top shape for the Ardennes Classics. I’m not saying I will go after a good result there, just that I know that the best cyclists in the world will be there and I want to be able to have a strong ride, to discover the parcours and to adapt to the tough level of these races. I love the Classics, so hopefully, the Ardennes will turn out to be a beautiful experience, one of the best of the season for me. If you check the stats, you can see that Italy is the country with the most general classifications wins in Grand Tours, and this is not by chance, as the country’s always had great cyclists for this kind of races, beginning with Alfredo Binda and Learco Guerra, going through the times of Fausto Coppi and Gino Bartali, until the years which was Giovanni Battaglin and Giuseppe Saronni stamp their authority on Grand Tours. Nowadays, Vincenzo Nibali and Fabio Aru are the top two Italians for three-week events, but the future could be Simone Petilli’s, the 22-year-old who signed a contract with Lampre-Merida, a team who had a more than interesting transfer campaign, as it decided to invest more in young riders. Hailing from Bellano (a small town in Lombardy), Simone came into cycling thanks to his father, who loved this sport, and began racing at 15, in cyclo-cross and later on the road. His enthusiasm standed out from the first races, as he attacked flat out all the time, eager to always be at the front and get a good result. The first team he joined was Pedale Morbegnese, which was followed throughout the years by Capiaghese, C.C.Canturino, Delio Gallina, Area Zero and Unieuro-Trevigiani. The latter is the one which helped the young Italian to get into the spotlight and emerge as one of the most promising U23 cyclists for stage races. In 2015, after a rather quiet start to the season in Argentina’s Tour de San Luis and on home turf, he won big in May, at the 38th Ronde de l’Isard, where he took the inaugural stage finishing on Goulier Neige on the road to claiming the overall victory and becoming only the second Italian rider to crown himself as champion in the French race. A memorable win which was followed not only by two other important results in top races of the U23 calendar – Giro della Valle d’Aosta and Tour de l’Avenir – but also by a contract with Lampre-Merida, Italy’s sole World Tour team, where Simone Petilli is hoping to make himself noticed quickly, even tough he’ll be a neo-pro in 2016. – Simone, this season was your best as an U23 cyclist, the main highlight being the win you got in Ronde de l’Isard. What meant that victory for you? To finish first in Ronde de l’Isard was very important, because up until that point it was a long time since I’ve last won a race, despite some excellent performances. Taking a stage victory and the general classification proved that I can hope of becoming a good rider in stage races one day. The expectations I have were underlined also by two other races in which I was strong and finished in the top five, Giro della Valle d’Aosta and Tour de l’Avenir, later in the season. – Speaking of L’Avenir, what’s your opinion on the UCI’s decision to give green light to World Tour riders for this event? For me it was not a problem. In fact, it was a good chance to race against some very powerful cyclists. I thus realized that they aren’t invincible and alsso that I have a lot of hard work to do in order to beat them. – After your impressive string of results, you signed with Lampre-Merida for the next two years. What’s the story of this transfer? During the season I did a test with Lampre-Merida, and following the Giro della Valle d’Aosta, where I came third in the general classification, I received a phone call from the team to schedule an appointment. After that, they put a contract on the table, which I immediately signed. – What means for you to go World Tour? Joining a World Tour team is a dream come true, and now that I’m realizing it, I have to give my best to achieve new goals. I have many new dreams that I want to turn into reality, and I will not stop here and think about what I did. Instead, I will focus on my future and on what I can do from this point onward. – How was the winter training camp with your new team? – What are your personal goals? I want to prove that I deserve this chance that I got and to show my potential by working for the leaders and even take advantage of an opportunity in one arises. 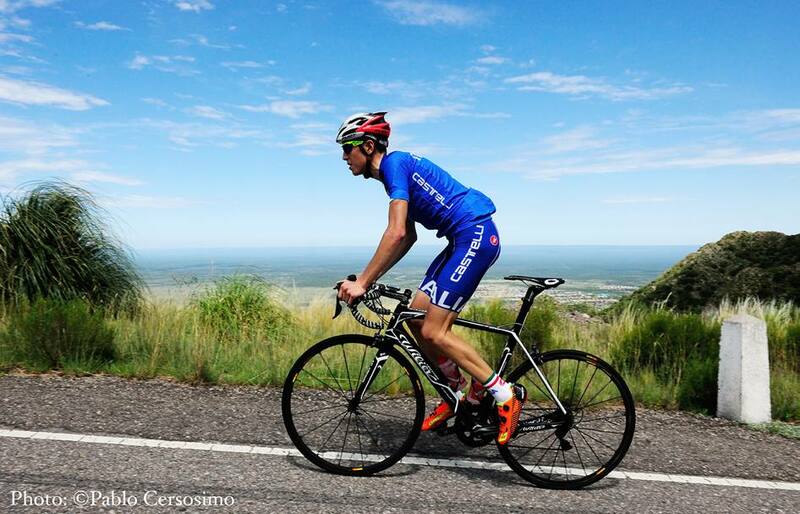 I want to be useful to the team and find my place in top level cycling. Another goal for next season is to ride the Giro d’Italia, because this is the race that every Italian kid dreams of when he gets into cycling. – Until the Giro, do you know what races you will do? I’ll make my debut at the Dubai Tour, in February, after which I should take part in Trofeo Laigueglia and Gran Premio Lugano. Then, there’s a big chance I will ride Vuelt al Pais Vasco and the Tour of Turkey. – And what do you hope to improve? Overall, I hope for a major improvement in all areas, but if I have to be specific, I would like to work on my time trial, a discipline which I have never gave enough attention. Now I’m prepared to improve my skills in the time trial, as this is crucial in nowadays’ cycling. 2015 was a breakthrough year for Toms Skujiņš, the promising Latvian rider who confirmed once again his place is in the World Tour, where he eventually got in October, after signing with Cannondale. During the second season with Continental team Hincapie Racing, the 24-year-old won stage three of the Tour of California with an impressive solo ride and got to wear the yellow jersey for three days. Then, he took the victory in the Winston Salem Cycling Classic and concluded the first part of the year with a solid second place in Tour de Beauce. In the summer, the Baltic rider continued to score other strong results, doing a good general classification in the USA Pro Cycling Challenge and Tour of Alberta and showing what he’s really made of, a cyclist who the harder the race, the harder he goes. It was only natural that he came on the radar of World Tour teams, and Cannondale was the one who made sure of getting his signature for the next two seasons, when Toms will have the chance to experience some of the best events in the calendar. The step in his career will bring many new things into the picture – new races in his schedule, new teammates and a new country to live in (Spain) – but one thing will remain the same: Toms Skujiņš’ huge ambition to dig deep and win races, thus proving that he can be one of the best in the game. – Toms, how would you describe your season? It was really amazing. The preparation had gone to plan and once we got through the first race, which is always terrible for me, I got better and better. Once I hit California I was flying, and just kept it going as long as I could I spent a lot of time travelling around, which was kind of a bummer, but it was all for the better of my results and finally I had enough in my resume for teams to actually notice me. – Besides the Tour of California, what were the highlights of the year? Winning in Winston Salem was amazing. Just because it’s so close to Greenville and it’s the hometown of our director Thomas Craven, but honestly the team’s win at TTT nationals was just a delight. It was in front of a home crowd, it was raining hard, miserable, but we came out swinging and proved we are the fastest team in the United States. I am really, really happy with the team effort there and glad I could be a part of it. – Would you say California was a turning point in your career? I think California was a turning point, yes. I think just because of the way I won it, it might not have been the one result that got me a contract, but it got me in front of teams, which meant the next results I got and my previous results were finally looked at. – You left Hincapie Racing after spending two years with the team. What did this experience mean for you? I wouldn’t change these last two years with Hincapie Racing for a pro contract sooner. No way. It was a great group of people and I don’t think I’ll ever find such a cool team again to be a part of. Of course, we were all racing when the time was to race, but we had so much fun off the bikes, it was just like a group of buddies hanging out. – Next year you’ll make a big step forward in your career, as you’ll ride with Cannondale. How did you get to sign with the team? Jonathan Vaughters had been in contact with me over the previous years as well, but it always somehow didn’t work out. Finally, he had one extra spot on the team and after my chat with one of the directors – Andreas Klier – where we hit it off, it was just a matter of meeting up and signing the papers, which we did at World Championships in Richmond. – Why Cannondale, as you got offers also from other teams? The only other World Tour team I had an offer from came in pretty late, and I was already thinking about how Cannondale will be a really good group of people to be a part of. The team will give me opportunities, let me race some really cool races, but most importantly the whole team is really fun and as I knew a lot of people it made it easier, plus the spoken language is English, so no need to learn my fifth language as well. I’ve ridden a Cannondale bike and Mavic wheels before and they are fast, and that of course played a role too. – I know the first training camp took place in Aspen, in October. How was it? Team camp was really fun. We met up with sponsors, had some meetings and got to ride really rad Cannondale MTBikes. The trails around the area are spectacular and the nature is gorgeous, so it was just a whole week of having a blast and meeting new faces. – Did the management outline the expectations they have from you? Of course, the team has plans for me, as do I for myself. Luckily, they won’t make me ride too many World Tour races straight away and let me ease into it a bit, but if all goes well I should be doing the Tour of Flanders and the three Ardennes Classics. – Do you know your calendar for the first part of the season? Before the Classics I’ll start in Mallorca and then do some races in France and Belgium, like Tour du Haut Var, Criterium International and the Three Days of West Flanders. After the Classics I’ll be back in California to make another solo breakaway stick, only this time it has to be longer than 55 kilometers. – That looks really nice. Which races are you more thrilled about riding? I’m really excited for the Classics. The Tour of Flanders, because I’ve done well before in the U23 ranks, and also the Ardennes. On top of that, coming back to the Tour of California will be a blast. I’ll see friends, former teammates and my dear fans that have been so fun to see. – Being a meticulous cyclist, I’m sure you have already set your goals for 2016. Which are these? Besides doing well in the Classics and Tour of California, I’d love to go to the Olympics and finish the Vuelta a España, but we’ll see how it goes, as there’s still a long way out. One of the most promising neo-pros expected to shine in 2016 is Jack Haig, whose impending debut in the World Tour is heralded by some very strong results he got as an amateur during the previous season in such races as Tour Down Under, Giro della Valle d’Aosta, Tour Alsace and Tour de l’Avenir. In the latter of the these, the now 22-year-old was the leader of Australia’s national team and put on a steady performance in the mountains, which netted him a second place in the overall standings, just 1:09 behind the winner, Spain’s and Movistar’s Marc Soler, a cyclist who was already accustomed to the World Tour level and rigors. A very consistent, perseverant and hard working rider, Jack Haig climbed steadily through the ranks on the road since making the transition from mountain biking and proved to have the all-round ability to land a big win as a pro in a one-day race or a Grand Tour. After racing with Avanti Racing and the AIS World Tour Academy during his tenure as an U23 cyclist, he made the natural step of inking a contract with Orica-GreenEdge, a team which proved since its inception in 2012 that has a special flair when it comes to the development of young riders. Following his first training camp with Orica-GreenEdge, in Canberra, Jack Haig sat down and talked for Cafe Roubaix about his up-and-down 2015 season, the improvements he’s made and his expectations ahead of his maiden World Tour year, which will see him being based in Girona and getting the taste of some of the calendar’s best and most prestigious races. – Jack, after a very good 2014, this year you faced many injuries, despite having a strong start to the season. How did you manage to get over all these setbacks? I was on some good form in the Australian Summer with a seventh place in a stage of Tour Down Under, but I crashed in the Cadel Evans Road Race and broke my elbow. This was one of the setbacks I had this year and probably the worst, but I think I have learnt from all of them during this season and it has probably made me a more prepared rider going into the World Tour next year. Because, and there’s no doubt about it, I will have similar setbacks at some point of my career. – Another disappointment was Liège–Bastogne–Liège, where you were very strong, but missed on a good result after the group you were in went in the wrong direction. Yes, it was quite frustrating to have that happen, I believe I would have had a decent chance of getting a decent result. But sometimes these things happen and I got over it quite quickly and looked forward to the next race. – On the other hand, you came second in the Tour de l’Avenir, which was a huge result. It’s probably one of the biggest results I have had and I believe I raced it quite well. I felt like I was getting better as the race was going on and to be so consistent in stage finishes was good as well. I really liked Tour de l’Avenir, I think it was better organised than last year. It’s also one of the few stage races that we do that really suits me. – Did this result make up for all the not so pleasant moments you experienced up until that point? For sure, I was really pleased to get the result. It gives me confidence going into the World Tour next year that I am a quality rider and hopefully ready to take that setup. – Were you sad not to land a victory throughout the year? I would have really liked to get a win and throw my hands up, but hopefully that will come next year in an even bigger race than we where racing this season. – How was living in Italy? I actually really enjoyed living in Italy and the people and language as well. Another thing I were enjoyed the training and some of views from the top of mountains looking down onto the lakes in that area. Must say I also liked the Italian one-day races I did, only problem is that I don’t have much of a sprint on me, so I found it hard to get a result there. It’s something I want to try and work on, having that little kick at the end of a hard race. – Overall, which was the toughest race you did in the whole 2015 season? Probably Tour de l’Avenir. I had a couple of really hard days where I wasn’t feeling too good in the middle of the race and it was really hard to keep pushing through them. – I know you worked on your time trial in the past year. Are you happy with how things went? Yes, I think I did a really good Chrono Champenois just before the World Championships and was a little disappointed that I didn’t get selected for the Richmond ITT. I improved a lot my time trial in 2015, a trained a lot for it, became more consistent and I have learnt many things about my body this year and how to get the most out of it. – Next season we will see you in the pro peloton, riding for Orica-GreenEdge. What does this step mean for you? Getting to the World Tour it’s kind of something that you dream of, so to make it there means a lot in itself. I really just want to take the first year as a learning year and hopefully set myself up for a long successfully career. I will keep enjoying my bike and maybe get a result or two. But I will not stress about results, because I know they will come as long as I am smart, have fun and work hard. – Do you know some of the races you’ll do? I will start of with the road race at the National Championships, and continue with the Cadel Evans Road Race and Herald Sun Tour (ed. – a race which he finished third in 2014). After that I will head to South Africa to do a training camp with the team. Then, my race calendar can change depending on how I am going with the setup to the World Tour level. Androni Giocattoli-Sidermec: Marco Bandiera, Marco Benfatto, Egan Bernal, Giorgio Cecchinel, Francesco Chicchi, Tiziano Dall’Antonia, Marco Frapporti, Carlos Gimenez, Yonder Godoy, Alberto Nardin, Luca Pacioni, Franco Pellizotti, Daniele Ratto, Mirko Selvaggi, Alessio Taliani, Rodolfo Torres, Sergei Tvetcov, Davide Vigano. Bardiani-CSF: Simone Andreetta, Enrico Barbin, Nicola Boem, Manuel Bongiorno, Luca Chirico, Giulio Ciccone, Sonny Colbrelli, Mirco Maestri, Stefano Pirazzi, Lorenzo Rota, Nicola Ruffoni, Paolo Simion, Luca Sterbini, Simone Sterbini, Alessandro Tonelli, Simone Velasco, Edoardo Zardini. Bora-Argon 18: Shane Archbold, Jan Barta, Phil Bauhaus, Cesare Benedetti, Sam Bennett, Emanuel Buchmann, Zakkari Dempster, Silvio Herklotz, Bartosz Huzarski, Patrick Konrad, Ralf Matzka, Jose Mendes, Gregor Mühlberger, Dominik Nerz, Christoph Pfingsten, Lukas Pöstlberger, Andreas Schillinger, Michael Schwarmann, Rudiger Selig, Scott Thwaites, Paul Voss. Caja Rural: Javier Aramendia, David Arroyo, Carlos Barbero, Miguel Angel Benito, Pello Bilbao, Hugh Carthy, Fabricio Ferrari, Alberto Gallego, Domingo Gonçalves, Jose Gonçalves, Jonathan Lastra, Angel Madrazo, Lluis Mas, Antonio Molina, Sergio Pardilla, Eduard Prades, Jaime Roson, Diego Rubio, Hector Saez, Ricardo Vilela. CCC Sprandi Polkowice: Alan Banaszek, Piotr Brozyna, Josef Cerny, Victor De La Parte, Felix Großschartner, Jan Hirt, Adrian Honkisz, Jakub Kaczmarek, Tomasz Kiendys, Adrian Kurek, Eryk Laton, Kamil Malecki, Jaroslaw Marycz, Bartlomiej Matysiak, Nikolay Mihaylov, Marcin Mrozek, Lukasz Owsian, Michal Paluta, Maciej Paterski, Leszek Plucinski, Simone Ponzi, Davide Rebellin, Branislau Samoilau, Grzegorz Stepniak, Patryk Stosz, Sylwester Szmyd, Mateusz Taciak. Cofidis: Jonas Ahlstrand, Yoann Bagot, Nacer Bouhanni, Rayane Bouhanni, Borut Bozic, Loïc Chetou, Jérôme Cousin, Nicolas Edet, Romain Hardy, Hugo Hofstetter, Arnold Jeannesson, Gert Joeäär, Christophe Laporte, Cyril Lemoine, Luis Angel Mate, Rudy Molard, Daniel Navarro, Anthony Perez, Stéphane Rossetto, Florian Sénéchal, Julien Simon, Geoffrey Soupe, Anthony Turgis, Michael Van Staeyen, Kenneth Vanbilsen, Clément Venturini. Delko Marseille-Provence KTM: Asbjørn Kragh Andersen, Mikel Aristi, Romain Combaud, Rémy Di Grégorio, Daniel Diaz, Leonardo Duque, Julien El Farès, Delio Fernandez, Fredrik Strand Galta, Benjamin Giraud, Thierry Hupond, Martin Laas, Christophe Laborie, Yannick Martinez, Quentin Pacher, Evaldas Siskevicius. Direct Energie: Ryan Anderson, Thomas Boudat, Lilian Calmejane, Romain Cardis, Sylvain Chavanel, Bryan Coquard, Jeremy Cornu, Antoine Duchesne, Yohann Gene, Fabien Grellier, Romais Guillemois, Tony Hurel, Fabrice Jeandesboz, Julien Morice, Bryan Nauleau, Adrien Petit, Alexandre Pichon, Perrig Quemeneur, Romain Sicard, Guillaume Thévenot, Angelo Tulik, Thomas Voeckler. Drapac Cycling: Graeme Brown, Brendan Canty, William Clarke, Nathan Earle, Brenton Jones, Jordan Kerby, Peter Koning, Jason Lowndes, Gavin Mannion, Travis Meyer, Jens Mouris, Lachlan Norris, Adam Phelan, Timothy Roe, Tom Scully, Samuel Spokes, Bernard Sulzberger. Fortuneo-Vital Concept: Jean-Marc Bideau, Franck Bonnamour, Vegard Breen, Frédric Brun, Maxime Cam, Anthony Delaplace, Pierrick Fédrigo, Brice Feillu, Armindo Fonseca, Arnaud Gérard, Jonathan Hivert, Yauheni Hutarovich, Benoît Jarrier, Dan McLay, Kevin Ledanois, Julien Loubet, Francis Mourey, Pierre-Luc Périchon, Eduardo Sepulveda, Chris-Anker Sorensen, Steven Tronet, Florian Vachon, Boris Vallée. Funvic Soul Cycles & Carrefour: Ottavio Bulgarelli, Flavio Cardoso, Francisco Chamorro, André De Souza, Alex Diniz, Murillo Feraz, Joao Gaspar, Nathan Mahler, Carlos Manarelli, Magno Prado Nazaret, Pedro Nicacio, Antonio Piedra, Robert Pinheiro, Kleber Ramos Da Silva, Rodrigo dos Santos Quirino, Pablo Urtasun. Gazprom-RusVelo: Ildar Arslanov, Igor Boev, Artur Ershov, Alexander Evtushenko, Sergey Firsanov, Alexander Foliforov, Alexey Kurbatov, Roman Kustadinchev, Roman Maikin, Viktor Manakov, Artem Nych, Sergey Nikoleav, Artem Ovechkin, Alexey Rybalkin, Ivan Savitskiy, Alexander Serov, Evgeniy Shalunov, Andrey Solomennikov, Mamyr Stash, Kirill Sveshnikov, Aydar Zakarin. Nippo-Vini Fantini: Giacomo Berlato, Alessandro Bisolti, Grega Bole, Daniele Colli, Damiano Cunego, Pierpaolo De Negri, Iuri Filosi, Eduard Grosu, Manabu Ishibashi, Yuma Koishi, Kazushige Kuboki, Shiki Kuroeda, Alessandro Malaguti, Nicolas Marini, Antonio Nibali, Riccardo Stacchiotti, Antonio Viola, Genki Yamamoto, Gianfranco Zilioli. Novo Nordisk: Scott Ambrose, Mehdi Benhamouda, Corentin Cherhal, Stephen Clancy, Ruud Cremers, Gerd de Keijzer, Kevin De Mesmaeker, Ben Dilley, James Glasspool, Joonas Henttala, Brian Kamstra, Nicolas Lefrançois, David Lozano, Javier Megias, Andrea Peron, Charles Planet, Martijn Verschoor, Chris Williams. ONE Pro Cycling: Yanto Barker, Tom Baylis, Marcin Bialoblocki, Karol Domagalski, John Ebsen, Matthew Goss, Richard Handley, George Harper, Kristian House, Josh Hunt, Sebastian Lander, Hayden McCormick, Martin Mortensen, Chris Opie, James Oram, Glenn O’Shea, Dion Smith, Steele Von Hoff, Pete Williams, Sam Williams. Roompot Oranje: Jesper Asselman, Marc De Maar, Berden De Vries, Huub Duijn, Reinier Honig, Johnny Hoogerland, Tim Kerkhof, Michel Kreder, Raymond Kreder, Wesley Kreder, Maurits Lammertink, Andre Looij, Barry Markus, Ivan Slik, Antwan Tolhoek, Etienne Van Empel, Nick Van der Lijke, Sjoerd Van Ginniken, Brian Van Goethem, Pieter Weening. Roth Skoda: Valentin Baillifard, Nicolas Baldo, David Belda, Nico Brüngger, Dimitri Bussard, Alberto Cecchin, Marco D’Urbano, Lucas Gaday, Grischa Janorschke, Lukas Jaun, Martin Kohler, Matthias Krizek, Tristan Marguet, Dylan Page, Andrea Pasqualon, Frank Pasche, Bruno Pires, Colin Stussi, Roland Thalmann, Nicola Toffali, Giacomo Tomio, Andrea Vaccher, Rino Zampilli, Andrea Zordan. Southeast-Venezuela: Julen Amezqueta, Manuel Belletti, Liam Bertazzo, Matteo Busato, Samuele Conti, Matteo Draperi, Gilbert Ducornau, Andrea Fedi, Giuseppe Fonzi, Tomas Gil, Jakub Mareczko, Daniel Martinez, Filippo Pozzato, Cristian Rodriguez, Enrique Sanz, Mirko Tedeschi, Mirko Trosino, Eugert Zhupa. Stölting Service Group: Michael Carbel, Gerald Ciolek, Linus Gerdemann, Rasmus Guldhammer, Lasse Norman Hansen, Alexander Kamp, Alex Kirsch, Thomas Koep, Lennard Kämna, Romain Lemarchand, Christian Mager, Mads Pedersen, Rasmus Quaade, Michael Rheis, Sven Reutter, Jonas Tenbrock, Fabian Wegmann. Topsport-Vlaanderen: Amaury Capiot, Aimé De Gendt, Kenny De Ketele, Moreno De Pauw, Floris De Tier, Tim Declercq, Maxime Farazijn, Sander Helven, Eliot Lietaer, Ruben Pols, Jonas Rickaert, Jarl Salomein, Thomas Sprengers, Stijn Steels, Dries Van Gestel, Preben Van Hecke, Gijs Van Hoecke, Bert Van Lerberghe, Jef Van Meirhaeghe, Kenneth Van Rooy, Pieter Vanspeybrouck, Otto Vergaerde, Jens Wallays. UnitedHealthcare: Carlos Eduardo Alzate, Janez Brajkovic, Matthew Busche, Marco Canola, Jonathan Clarke, Daniel Eaton, Adrian Hegyvari, Daniel Jaramillo, Chris Jones, Luke Keough, Ty Magner, Karl Menzies, John Murphy, Tanner Putt, Daniel Summerhill, Bradley White. Verva ActiveJet: Stanislaw Aniolkowski, Adrian Banaszek, Norbert Banaszek, Pawel Bernas, Lukasz Bodnar, Pawel Charucki, Pawel Cieslik, Pawel Franczak, Kamil Gradek, Karel Hnik, Jonas Koch, Michal Podlaski, Jiri Polnicky, Jordi Simon, Adam Stachowiak, Daniel Staniszewski. Wanty-Groupe Gobert: Simone Antonini, Frederik Backaert, Jérôme Baugnies, Gaetan Bille, Dimitri Claeys, Thomas Degand, Kenny Dehaes, Antoine Demoitie, Tom Devriendt, Boris Dron, Enrico Gasparotto, Roy Jans, Marco Marcato, Guillaume Martin, Mark McNally, Marco Minnard, Danilo Napolitano, Lander Seynaeve, Robin Stenuit, Björn Thurau, Kevin Van Melsen, Frederik Veuchelen. AG2R: Gediminas Bagdonas, Jan Bakelants, Romain Bardet, Julien Berard, François Bidard, Guillaume Bonnafond, Mikael Cherel, Maxime Daniel, Nico Denz, Axel Domont, Samuel Dumoulin, Hubert Dupont, Ben Gastauer, Damien Gaudin, Cyril Gautier, Alexis Gougeard, Patrick Gretsch, Hugo Houle Quentin Jauregui, Blel Kadri, Pierre-Roger Latour, Sébastien Minard, Matteo Montaguti, Jean-Christophe Péraud, Domenico Pozzovivo, Christophe Riblon, Jesse Sergent, Sébastien Turgot, Johan Vansummeren, Alexis Vuillermoz. Astana: Valerio Agnoli, Fabio Aru, Maksat Ayazbaev, Lars Boom, Eros Capecchi, Dario Cataldo, Laurens De Vreese, Daniil Fominykh, Jakob Fuglsang, Andriy Grivko, Dmitri Grudzev, Andrea Guardini, Tanel Kangert, Bakhtiyar Kozhataev, Miguel Angel Lopez, Alexey Lutsenko, Davide Malacarne, Vincenzo Nibali, Dias Omirzakov, Diego Rosa, Luis Leon Sanchez, Michele Scarponi, Gatis Smukulis, Paolo Tiralongo, Alessandro Vanotti, Lieuwe Westra, Artyom Zakharov, Andrey Zeits. BMC: Darwin Atapuma, Tom Bohli, Brent Bookwalter, Rohan Dennis, Jean-Pierre Drucker, Floris Gerts, Philippe Gilbert, Ben Hermans, Stefan Küng, Amaël Moinard, Daniel Oss, Taylor Phinney, Richie Porte, Manuel Quinziato, Joey Rosskopf, Samuel Sánchez, Michael Schär, Manuel Senni, Dylan Teuns, Greg Van Avermaet, Tejay van Garderen, Peter Velits, Loïc Vliegen, Danilo Wyss, Rick Zabel. Cannondale-Garmin: Jack Bauer, Alberto Bettiol, Patrick Bevin, Matti Breschel, Nathan Brown, André Cardoso, Simon Clarke, Lawson Craddock, Joe Dombrowski, Davide Formolo Philip Gaimon, Alex Howes, Ben King, Kristijan Koren, Sebastian Langeveld, Alan Marangoni, Moreno Moser, Ryan Muller, Ramunas Navardauskas, Pierre Rolland, Kristoffer Skjerping, Toms Skujiņš, Tom-Jelte Slagter, Andrew Talansky, Rigoberto Uran, Dylan Van Baarle, Davide Villlella, Wouter Wippert, Michael Woods, Ruben Zepuntke. Dimension Data: Igor Anton, Natnael Berhane, Edvald Boasson Hagen, Theo Bos, Matthew Brammeier, Mark Cavendish, Steve Cummings, Mekseb Debesay, Nick Dougall, Bernhard Eisel, Tyler Farrar, Omar Fraile, Nathan Haas, Jacques Janse Van Rensburg, Reinardt Janse Van Rensburg, Songezo Jim, Merhawi Kudus, Cameron Meyer, Andrien Niyonshuti, Serge Pauwels, Youcef Reguigui, Mark Renshaw, Kristian Sbaragli, Kanstantin Siutsou, Daniel Teklehaimanot, Jay Robert Thomson, Johan Van Zyl, Jaco Venter. Etixx-Quick Step: Julian Alaphilippe, Tom Boonen, Maxime Bouet, Gianluca Brambilla, Rodrigo Contreras, Laurens De Plus, David De La Cruz, Fernando Gaviria, Bob Jungels, Iljo Keisse, Marcel Kittel, Yves Lampaert, Nikolas Maes, Tony Martin, Daniel Martin, Davide Martinelli, Gianni Meersman, Maximiliano Richeze, Fabio Sabatini, Pieter Serry, Zdenek Stybar, Niki Terpstra, Matteo Trentin, Petr Vakoč, Guillaume Van Keirsbulck, Stijn Vandenbergh, Martin Velits, Julien Vermote, Carlos Verona, Lukasz Wisniowski. FDJ: Sebastien Chavanel, Arnaud Courteille, Arnaud Démare, Odd Christian Eiking, Kenny Elissonde, Murilo Fischer, Marc Fournier, Alexandre Geniez, Daniel Hoelgaard, Ignatas Konovalovas, Mathieu Ladagnous, Johan Le Bon, Olivier Le Gac, Pierre-Henri Lecuisinier, Jérémy Maison, Lorenzo Manzin, Steve Morabito, Yoann Offredo, Laurent Pichon, Cedric Pineau, Thibaut Pinot, Sébastien Reichenbach, Kevin Réza, Anthony Roux, Jeremy Roy, Marc Sarreau, Benoît Vaugrenard, Arthur Vichot. Giant-Alpecin: Søren Kragh Andersen, Nikias Arndt, Warren Barguil, Roy Curvers, Bert De Backer, Koen de Kort, John Degenkolb, Tom Dumoulin , Caleb Fairly, Johannes Fröhlinger, Simon Geschke, Chad Haga, Cheng Ji, Carter Jones, Frederik Ludvigsson, Tobias Ludvigsson, Sam Oomen, Georg Preidler, Ramon Sinkeldam, Sindre Skjøstad Lunke, Tom Stamsnijder, Laurens ten Dam, Albert Timmer, Lars van der Haar, Tom Veelers, Zico Waeytens, Max Walscheid. IAM Cycling: Marcel Aregger, Matthias Brändle, Clément Chevrier, Stef Clement, Jéröme Coppel, Stefan Denifl, Dries Devenyns, Mathias Frank, Martin Emiger, Sondre Holst Enger, Mathias Frank, Jonathan Fumeaux, Heinrich Haussler, Reto Hollenstein, Leigh Howard, Roger Kluge, Vegard Stake Laengen, Oliver Naesen, Jarlinson Pantano, Simon Pellaud, Matteo Pelucchi, Vicente Reynes, Aleksejs Saramotins, David Tanner, Jonas Van Genechten, Larry Warbasse, Marcel Wyss, Oliver Zaugg. Katusha: Maxim Belkov, Sven Erik Bystrøm, Sergei Chernetckii, Jacopo Guarnieri, Marco Haller, Vladimir Isaychev, Pavel Kochetkov, Dmitriy Kozontchuk, Alexander Kristoff, Viacheslav Kuznetsov, Sergey Lagutin, Alberto Losada, Tiago Machado, Matvey Mamykin, Michael Mørkøv, Nils Politt, Aleksandr Porsev, Jhonatan Restrepo, Joaquim Rodriguez, Egor Silin, Simon Spilak, Rein Taaramae, Alexei Tsatevich, Jurgen Van den Broeck, Angel Vicioso, Eduard Vorganov, Anton Vorobyev, Ilnur Zakarin. Lampre-Merida: Yukiya Arashiro, Matteo Bono, Mattia Cattaneo, Davide Cimolai, Simone Consonni, Valerio Conti, Mario Costa, Rui Costa, Kristijan Durasek, Chun Kai Feng, Roberto Ferrari, Tsgabu Grmay, Ilia Koshevoy, Marko Kump, Louis Meintjes, Sacha Modolo, Matej Mohoric, Manuele Mori, Przemysław Niemiec, Simone Petilli, Luka Pibernik, Jan Polanc, Edward Ravasi, Diego Ulissi, Gang Xu, Federico Zurlo. LottoNL-Jumbo: Enrico Battaglin, George Bennett, Koen Bouwman, Victor Campaerts, Twan Castelijns, Robert Gesink, Dylan Groenewegen, Moreno Hofland, Martijn Keizer, Wilco Keldermann, Steven Kruijswijk, Steven Lammertink, Tom Leezer, Bert-Jan Lindeman, Paul Martens, Primoz Roglic, Timo Roosen, Bram Tankink, Mike Teunissen, Maarten Tjallingii, Tom Van Asbroeck, Jos van Emden, Dennis Van Winden, Sep Vanmarcke, Alexey Vermeulen, Robert Wagner, Maarten Wynants. Lotto-Soudal: Sander Armée, Lars Bak, Tiesj Benoot, Kris Boeckmans, Stig Broeckx, Sean De Bie, Jasper De Buyst, Bart De Clercq, Thomas De Gendt, Jens Debusschere, Gert Dockx, Frederik Frison, Tony Gallopin, André Greipel, Adam Hansen, Greg Henderson, Pim Ligthart, Tomasz Marczyński, Maxime Monfort, Jurgen Roelandts, Marcel Sieberg, Rafael Valls, Tosh Van der Sande, Jelle Vanendert, Louis Vervaeke, Jelle Wallays, Tim Wellens. Movistar: Andrey Amador, Winner Anacona, Jorge Arcas, Carlos Betancur, Jonathan Castroviejo, Alex Dowsett, Imanol Erviti, Ruben Fernandez, Jose Herrada, Jesus Herrada, Gorka Izagirre, Ion Izagirre, Juan Jose Lobato, Adriano Malori, Daniel Moreno, Javier Moreno, Nelson Oliveira, Antonio Pedrero, Dayer Quintana, Nairo Quintana, Jose Joaquin Rojas, Marc Soler, Rory Sutherland, Jasha Sutterlin, Alejandro Valverde, Francisco Ventoso, Giovanni Visconti. Orica-GreenEdge: Michael Albasini, Sam Bewley, Esteban Chaves, Magnus Cort Nielsen, Mitchell Docker, Luke Durbridge, Alexander Edmondson, Caleb Ewan, Simon Gerrans, Jack Haig, Mathew Hayman, Michael Hepburn, Damien Howson, Daryl Impey, Christopher Juul-Jensen, Jens Keukeleire, Michael Matthews, Christian Meier, Luka Mezgec, Ruben Plaza, Amets Txurruka, Svein Tuft, Adam Yates, Simon Yates. Sky: Ian Boswell, Philip Deignan, Andrew Fenn, Chris Froome, Michal Golas, Sergio Henao, Sebastian Henao, Benat Intxausti, Peter Kennaugh, Vasil Kiryienka, Christian Knees, Michal Kwiatkowski, Leopold König, Mikel Landa, David Lopez Garcia, Gianni Moscon, Mikel Nieve, Lars Petter Nordhaug, Alex Peters, Wout Poels, Salvatore Puccio, Nicolas Roche, Luke Rowe, Ian Stannard, Ben Swift, Geraint Thomas, Danny van Poppel, Elia Viviani, Xabier Zandio. Tinkoff: Daniele Bennati, Erik Baška, Adam Blythe, Manuele Boaro, Maciej Bodnar, Pavel Brutt, Alberto Contador, Oscar Gatto, Michael Gogl, Jesper Hansen, ​Jesus Hernandez, Robert Kiserlovski, Michael Kolar, Roman Kreuziger, Rafal Majka, Jay McCarthy, Sergio Paulinho, Evgeni Petrov, Pawel Poljanski, Michael Rogers, Ivan Rovny, Juraj Sagan, Peter Sagan, Matteo Tosatto, Yuri Trofimov, Nikolay Trusov, Michael Valgren. Trek-Segafredo: Eugenio Alafaci, Julian Arredondo, Fumyiuki Beppu, Julien Bernard, Jack Bobridge, Niccolo Bonifazio, Fabian Cancellara, Marco Coledan, Stijn Devolder, Laurent Didier, Fabio Felline, Ryder Hesjedal, Markel Irizar, Bauke Mollema, Giacomo Nizzolo, Yaroslav Popovych, Gregory Rast, Kiel Reijnen, Frank Schleck, Peter Stetina, Jasper Stuyven, Edward Theuns, Boy van Poppel, Riccardo Zoidl, Haimar Zubeldia.